National Citizen Service (NCS) is a 3 week experience you really don’t want to miss. If you’re 15 to 17 years-old, this is your chance to embark on exhilarating challenges, make your mark and build skills for work and life. More than 275,000 young people have already said YES to NCS. Don’t. Miss. Out. NCS is a chance for young people come together and achieve amazing things. Let’s face it – life’s too short to be stuck indoors. So why not kick-start your future with a summer you’ll never forget! During the summer of 2019 we are running a total of 4 waves with limited spaces available, the spaces are always allocated on a first come first served basis, so don’t delay and sign up today. On phase one, it’s time to challenge yourself! Living with your team at an outdoor activity centre, you’ll get to know some amazing people and enjoy some quality time away from home. The best part? You’ll find yourself in a group of 12-15 incredible people you’ve never met before – people who will change your life and whose lives you’ll change. In your team, you’ll get the chance to take on some adrenaline-fuelled challenges like rock climbing, canoeing, hiking and archery. Even if you’re the biggest scaredy-cat, you’ll be a rock climbing’, zip wiring’, canoe-conquering’ machine in no time! Now’s your chance to discover something new! You’ll be reunited with your group in a uni-style environment where you’ll develop life skills like confidence, leadership and communication to boost your CV or UCAS personal statement. You could find yourself meeting organisations and important people from your local community. Even better – you might discover something new about yourself. Maybe you’ve got a hidden (or not so hidden) passion for photography, editing, football coaching or even how to set up your own business! It’s time to make your mark! This is where your NCS experience all comes together. All the fun and inspiration from the first two phase’s means you’re ready to step up and deliver your very own social action project. Plan; fundraise; make a difference! You and your team have the power to change the world around you. Whether you’re a thinker or a doer, this is your chance to make a difference, have some amazing stories to tell, and be part of something you’ll never forget! It’s time to celebrate in style. All 4 waves come together for one hell of a night! We think it’s only right that you and your team should enjoy a well-earned reward for doing something truly inspirational in your community. At the end of your NCS experience, you’re now part of the bigger NCS family. But fear not, this is only just the beginning! You’ll get exclusive access to potential volunteering opportunities and apprenticeships as well as amazing discounts and big events! Once you graduate you become a part of the NCS family! Get ready to embark on the summer of a lifetime, develop skills that will help you fast track your future whilst meeting some amazing people along the way. Be sure to leave a legacy in your local community, pushing yourself to be the best you can be along the way. This year we have 4 departure dates, giving you as much opportunity as possible to attend 1 of our waves. The departure dates are as follows; Monday 8th July, Monday 15th July, Monday 29th July, Monday 5th August. Please note wave lasts a total of 3 weeks, excluding weekends. Between now and when you go away, we are running a number of FREE keep warm events. These events are planned to allow you to meet the staff and get to know your fellow NCS participants. These are great opportunities to ask any questions and settle those pre-summer nerves. All Keep Warm Events can be found within your Welcome Packs which you will receive once you sign up, otherwise online versions can be found under the resources tab. The week before you depart we hold a wave specific mandatory induction evening on the Wednesday, where we ask that all participants and parents or guardians attend. During the evening there will be a short presentation covering all you need to know. This is the perfect chance to run over any final details and get your all questions answered. The following day (Thursday) will be your “Bag Drop”. This your final point of contact with us before departure, we ask that all sign ups drop of their baggage for week 1. This ensures we depart on time on the Monday morning and reduces any last minute rushing around. 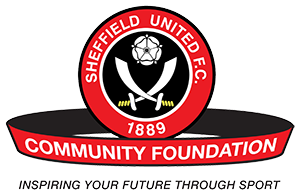 We ask you to drop your bag off at Sheffield United Academy, Firshill Crescent, S4 7DR between 07:00-19:00. Kicking off our 2019 summer, Wave 1 departs on Monday 8thJuly 2019 from Sheffield United Academy. Kicking off our 2019 summer, Wave 2 departs on Monday 15thJuly 2019 from Sheffield United Academy. Kicking off our 2019 summer, Wave 3 departs on Monday 29thJuly 2019 from Sheffield United Academy. Kicking off our 2019 summer, Wave 1 departs on Monday 5th August 2019 from Sheffield United Academy. A selection of welcome packs provide you with all the information you need to prepare for your upcoming NCS expedition.